Kyrgyzstan goes to the polls on Sunday to elect a new president three months after the "tulip revolution" that swept former leader Askar Akayev from power. Interim President Kurmanbek Bakiev has promised this will be the first free and fair election in Kyrgyz history. Q: What happened in previous polls? This is the fourth presidential election since Kyrgyzstan gained its independence from the Soviet Union. 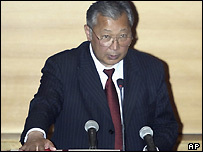 In 1991 Askar Akayev stood unopposed. He was re-elected in 1995 with over 70% of the vote. In 2000, after the Constitutional Court allowed him to run for a third term, he won a further five years. But international observers declared the vote flawed. Would-be presidents must pass a test in the Kyrgyz language to register as candidates. They must pay a deposit of about $2,500 from their personal savings or from party election funds. And they must collect 50,000 signatures in support of their bid. A candidate needs a simple majority to win in the first round, provided that turnout is at least 50% plus one of registered voters. If no-one wins outright, a run-off is held within two weeks between the two leading candidates. The president is elected for five years and can serve only two terms in a row. There are about 2.5m eligible voters. Polling stations have been set up abroad: in 11 Russian cities and at 28 embassies. The election is overseen by the Central Electoral Commission. The commission head, Tuygunaaly Abdraimov, said the election would cost $1.5m. Q: How many candidates are there? At first there were 21 but the field has since narrowed to six. Ex-security chief and former leading opposition figure Feliks Kulov pulled out of the race in May. He struck a deal with his main rival, Kurmanbek Bakiev. If the latter wins, Mr Kulov will serve under him as prime minister, but in a new enhanced role. Observers say the move considerably boosts Mr Bakiev's chances. It prompted many well-known politicians to bow out. Q: Who is the front runner? Acting President Kurmanbek Bakiev is now the firm favourite and is thought certain to beat all comers in round one. He says his main goal is to eradicate corruption. He served as prime minister until 2002. He resigned after the armed suppression of an opposition rally in March 2002 which claimed five lives. Q: Who else is standing? Tursunbay Bakir uulu is the Kyrgyz ombudsman and the leader of the Erkin Kyrgyzstan Party. He helped secure the release in August 1999 of hostages, including four Japanese geologists, held by Islamic militants. Keneshbek Duyshebayev still considers Askar Akayev the legitimate president. He was promoted by Mr Akayev from Bishkek police chief to acting interior minister following the disputed parliamentary election in February. He was sacked by interim President Kurmanbek Bakiev. He heads the Akyykat (Justice) Party. Toktayym Umetaliyeva, the only woman candidate, is a physicist. Heads the Association of Nongovernmental and Noncommercial Organizations. Running as an independent. Dzhypar Dzheksheyev is an artist. Heads the Democratic Movement of Kyrgyzstan party, which he helped found in the early 1990s. Formed the Ashar political movement in 1989, by uniting homeless people demanding land. Akbaraly Aytikeyev is an engineer and president of the Union of Kyrgyz Industrialists and Businessmen. Q: Will the vote be fair? Mr Bakiev and Mr Kulov have temporarily resigned from their posts in a bid to defuse concerns about fairness. They have urged government members not to promote specific candidates. However, there are fears some officials might interfere in the process to promote the Bakiev-Kulov ticket. Q: What of media coverage? Media coverage has largely focused on the Bakiev-Kulov ticket. Concerns have been raised about the state media's apparent tacit approval of Mr Bakiev. Even papers that used to air opposition views, as well as those that were once pro-Akayev, are now generally supportive of the caretaker government. Q: Will there be observers? The Central Electoral Commission has said that more than 800 international observers, including 369 from the OSCE and 261 from the CIS, will monitor the polls.